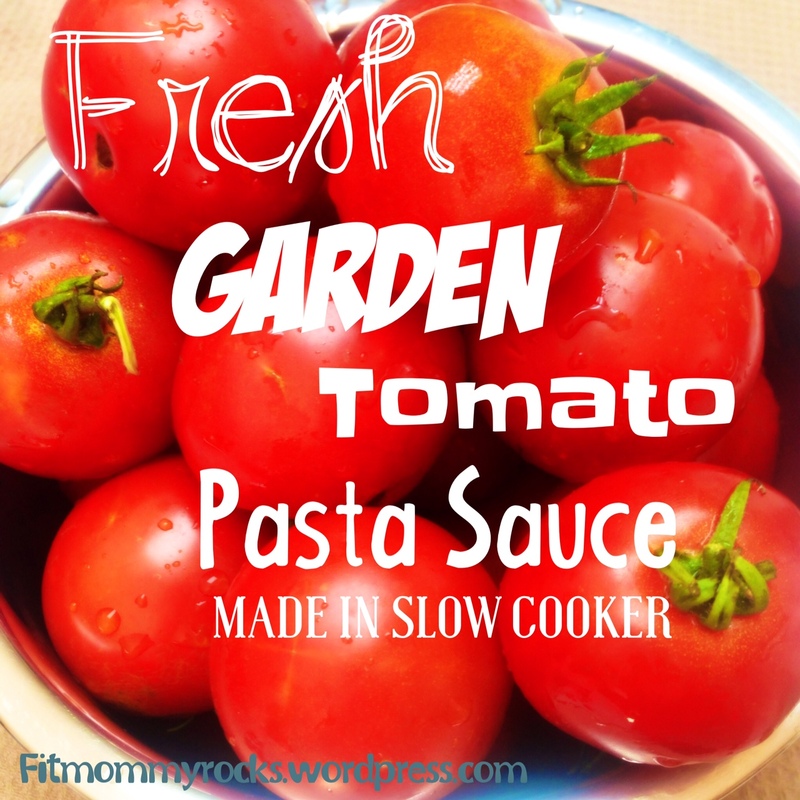 Another use for your FRESH Garden Veggies!! We love going to the farmers market. We have one in our city every Saturday. This last Saturday we purchased some corn on the cob. Our family loves eating corn on the cob. 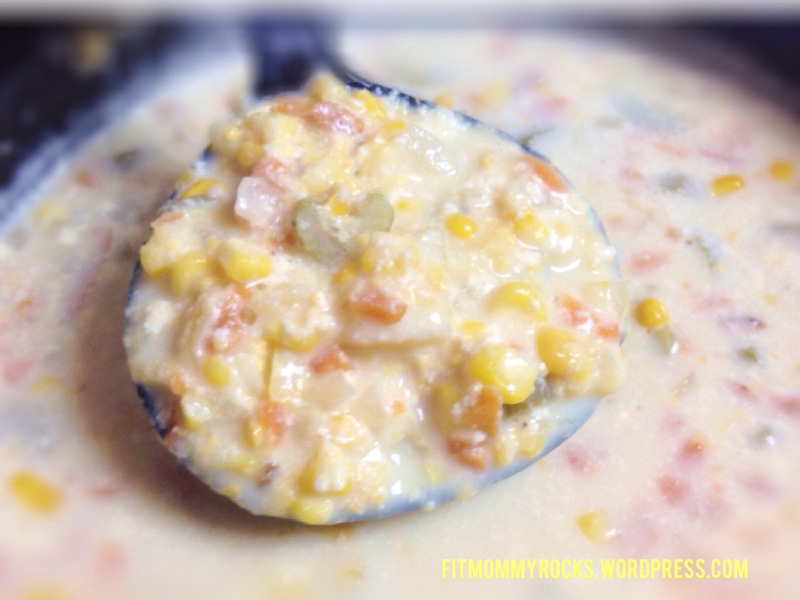 I wanted to share with you today a corn chowder recipe my family loves that uses corn off the cob! It is really yummy. While we were at the farmers market we purchased a fresh loaf of Asiago Cheese bread! Oh man was it delicious with this soup! 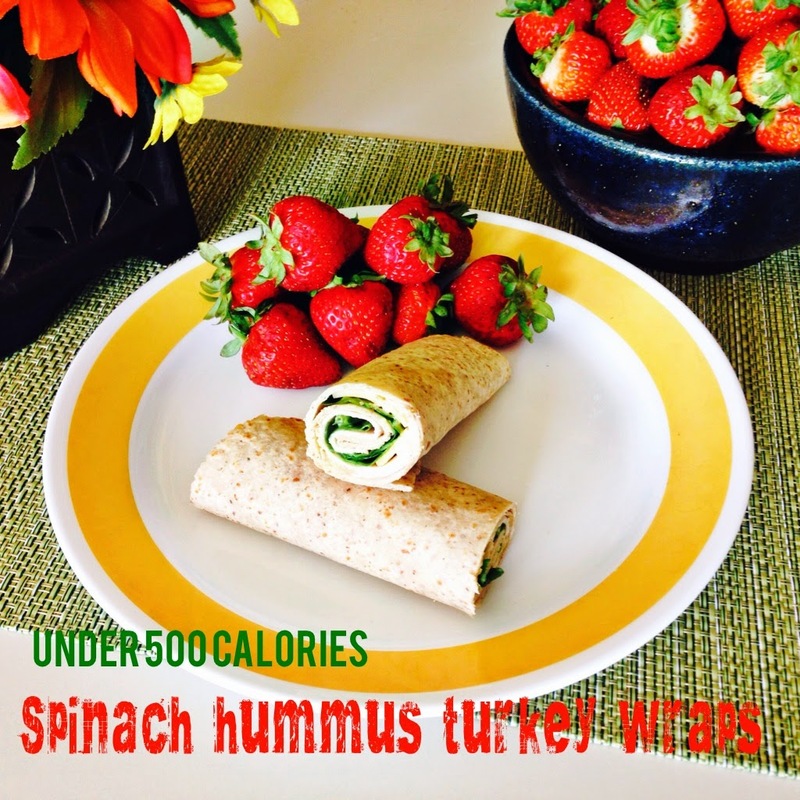 I make this in the slow cooker but you could make it on the stove top as well. First, cut up carrots, celery, onion and potatoes and place in slow cooker. Add the water (3/4 cup) and salt and pepper. Cover and cook on high for 4-6 hours. You could cook on low for about 8 hours. 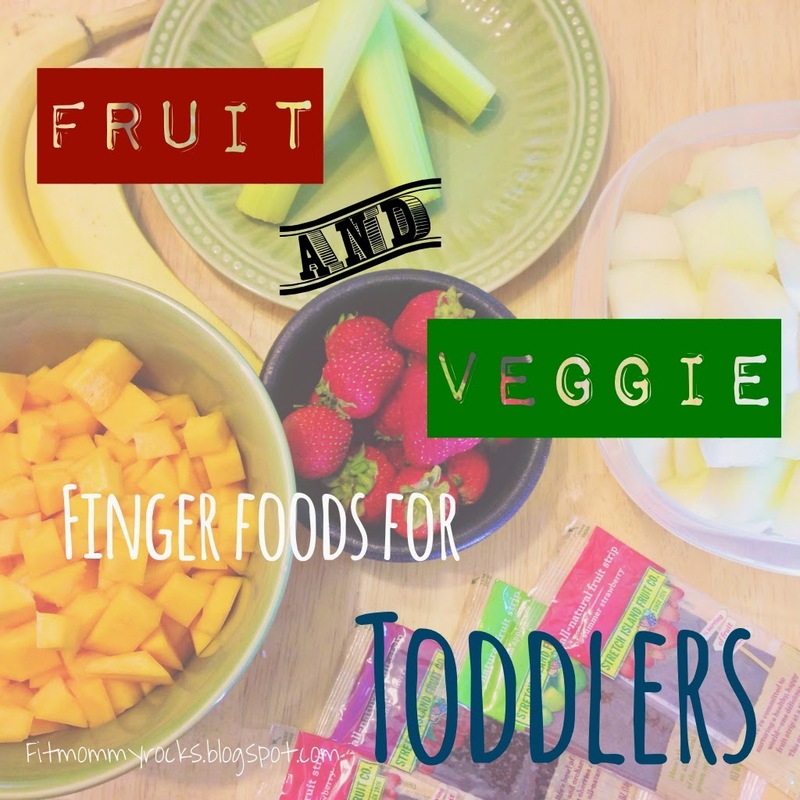 Until your veggies are tender. Then add the corn, milk and cheese and cook high for another hour. After that hour keep on low until you are ready to eat. 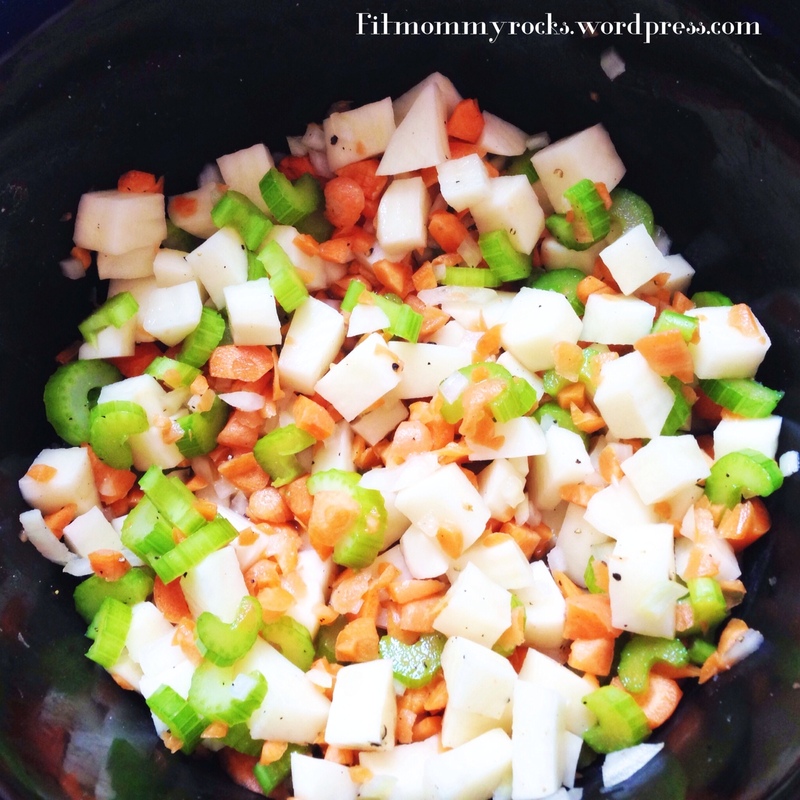 Combine celery, carrots, potatoes, onion, water, salt and pepper in slow cooker. Cover and cook on high for 4-6 hours, until the vegetables are tender. Add Corn, milk, and cheese. Keep on high for another hour and then turn to low until you are ready to eat. 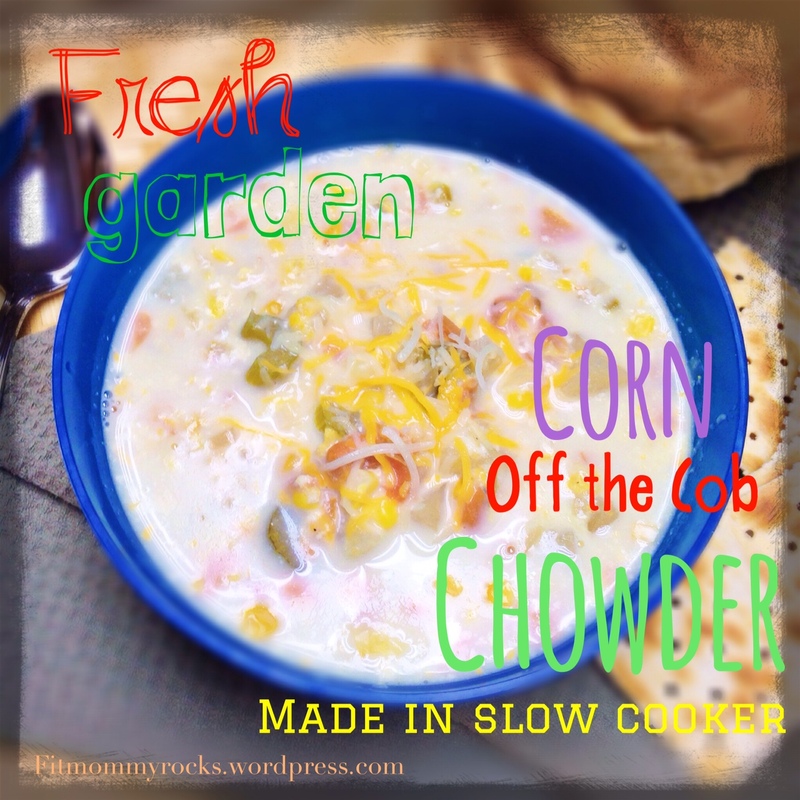 This soup is really yummy paired up with fresh homemade bread or even in a bread bowl. Like what you see? 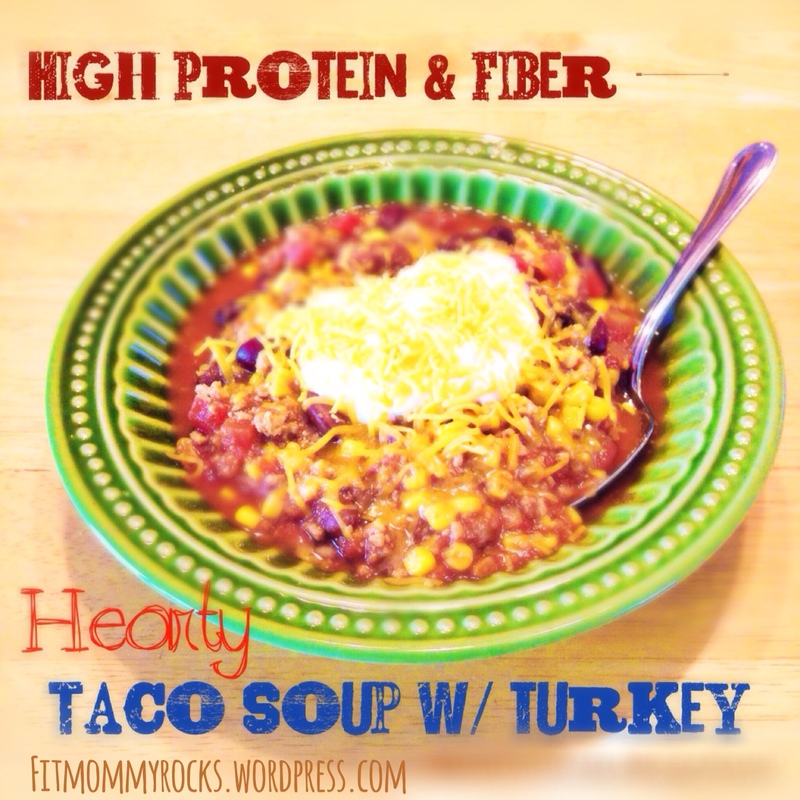 Be sure to follow FIT MOMMY so you don’t miss a post.